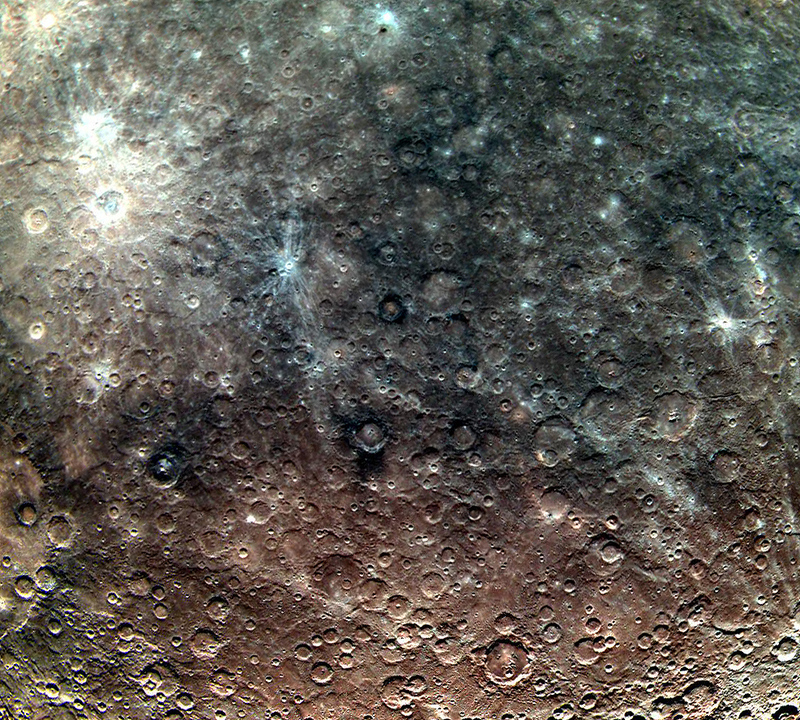 MESSENGER wide-angle camera image of Mercury's surface acquired July 5, 2011. The upper part of this view of Mercury’s surface includes a swath of material that has reflectance that does not strongly increase toward longer wavelengths, a property described as relatively “blue” in color. The bluish material also has lower overall reflectance than Mercury’s average surface. The terrain to the south and west has a more reddish color. A major puzzle of Mercury’s geology is the identity of the particular rock types that correspond to these colors. See more on the MESSENGER site here.